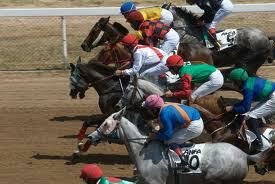 The fame of the fast, elegant horses started to spread across Europe, Asia, and into North America. The Turks of the Ottoman Empire donated Arabian horses to European rulers as gifts. The infusion of Arabian horses into the indigenous European horses, led to a lighter cavalry horse. There was no longer a need for an exceptionally strong war horse, since fire-arms had replaced heavy armor. In 1725 Nathan Harrison of Virginia imported the first Arabian stallion into America. Between 1853 and 1856 A. Keene Richard, the first Arabian breeder of note, imported several stallions and mares for breeding, but he lost them all in the Civil War. The importation of Arabians was resumed after several decades, but this time they came to stay. In 1873 the Sultan of Turkey, Abdul Hamid 2, donated two purebred Arabian stallions, Leopard and Lindentree, to General Ulysses Grant during his visit to the Middle East. Leopard became the property of Randolph Huntington, who then imported two more stallions and two mares from England in 1888. This was the first purebred Arabian Stud in the U.S.A.. In 1893, at the World’s Fair in Chicago, Arabian popularity soared when Turkey exhibited forty five purebred Arabians. At that stage importation of Arabian horses to the States increased, since prominent Americans acquired them to upgrade local stock. In 1906 Pres. Teddy Rooseveldt sponsored Homer Davenport to import twenty seven Arabians into Boston. This meant the founding of the Davenport Arabians. W.R.Brown: 20 from England, 6 from France, 7 from Egypt. Lady Wentworth died; dispersal of Crabbet Stud. Imports increased. By the end of the 1950’s the Arabian horse studs became well established in America and around the world. On September 2, 1908, the Arabian Horse Club of America, Inc., was founded in New York State. After many name changes, the registry finally settled in Calorado as the Arabian Horse Registry of America (AHRA). 1909: Registry’s Stud Book officially recognized by the Dept. of Agriculture. There were 71 horses and 11 owners at the time. In 1950, March 31, The International Arabian Horse Association was founded to promote and coordinate Arabian Horse activities around the world. In 1970 the World Arabian Horse Organization (WAHO) was formed to provide an international voice for both the registries and activities of the clubs from all countries. Bedouin Source: a group focusing on horses whose pedigree can be traced back in every line to the Bedouin horse breeding tribes of the desert. The Bedouin has always been very strict regarding the purity of their horses, and although there were no written records, they verbally passed the breeding down from memory from one generation to another. 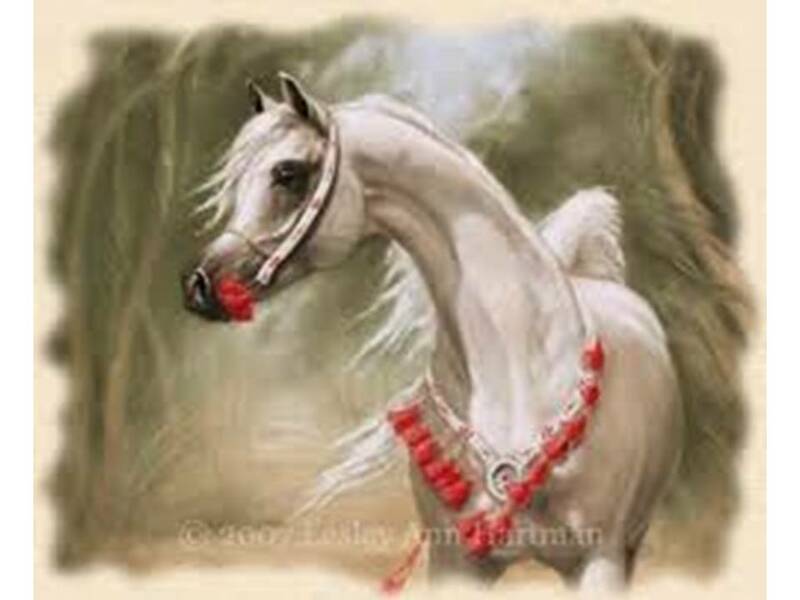 Since the Arabian is regarded as a gift from Allah, purity is of such importance to the Bedouin that, should a mare accidentally be crossed with an outside “Kadish” stallion, she was regarded as “contaminated for ever”, and could never again produce a purebred foal. By mating choice mares to selected stallions, the Bedouins have developed several strains, often named after the tribe or sheik who bred them. Unlike other breeds, families are traced along the mare line (evidence of the prominence of the mares in their breeding). Other desert types which evolved, such as the “Barbs” and “Turks” of North Africa and the perimeters of the Great Desert, were never considered by the Bedouins for breeding. In 1976 a permanent blood typing program for breeding stallions was implemented by the Arabian Horse Registry of America, and since 1991 blood typing of both parents as well as the foal has been required for registration of foals as purebreds. On the other hand, the World Arabian Horse Organization has been more lenient and allowed horses of questionable breeding into their registries. This has led to dispute between AHRA and WAHO, and breeders globally.